This compact round dining table comfortably seats four and is great for small spaces, providing popular Scandinavian style for an affordable price. 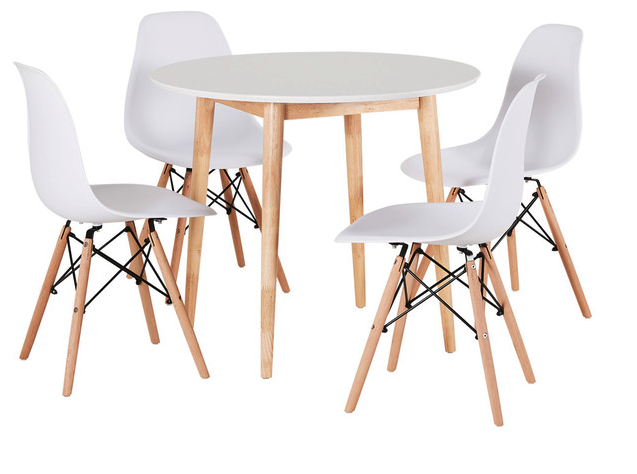 The painted table top is easy to clean and a simple assembly means you can take it home and have guests over for dinner in the same day.The stylish Replica Eames Dining Chair* with moulded seating adds instant style to your dining room. 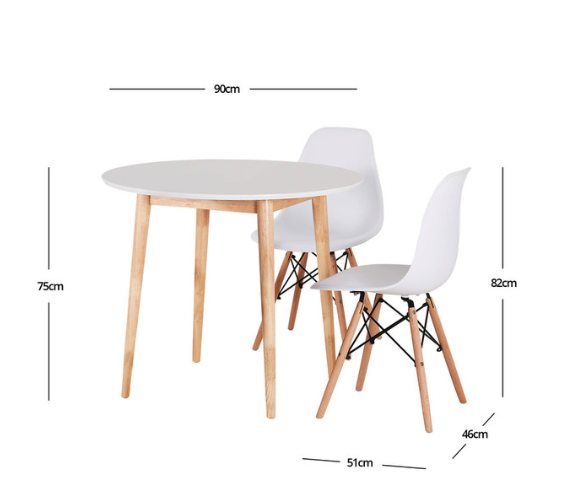 This stylish dining option has moulded seating for comfort combined with wooden legs for stability. Best of all, the seat is made from easy-to-clean PU making clean up after dinner time a breeze! Each chair has a weight capacity of 120 kg.